Briefing: Is this man fit to be US President? 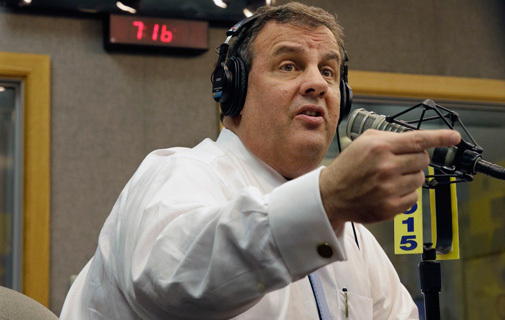 Bridgegate won’t go away for Chris Christie. Danny McDonald takes a look at what exactly has landed the New Jersey governor in hot water. Chris Christie is governor of New Jersey. He’s a two-term Republican who is very popular in what traditionally has been a Democratic state. He’s garrulous. He’s combative. He’s overweight. He’s New Jersey. He’s also considered to be one of the GOP frontrunners for the 2016 presidency. Some highway lanes were closed down on the George Washington bridge near the town of Fort Lee for four days, snarling the northern Jersey commute into New York City. Fort Lee’s mayor is a Democrat who refused to back Christie in last autumn’s election. Christie’s aide, who gave the dictum to close the highway lanes as political retribution for the mayor’s lack of support, has been fired. Another aide has resigned. It shows that the Christie administration is not above petty politics and that his underlings inconvenienced their own constituents all because another politician refused to back their guy. Christie is known as a bit of a pragmatic maverick within the GOP. He has crossed party lines. He ruffled feathers in his own party when he welcomed and praised President Barack Obama, who is a Democrat, to his state during the aftermath of Hurricane Sandy. The purposeful traffic jam doesn’t dovetail with his image as a pol above petty partisan politics. It’s not exactly behaviour that’s becoming of the White House, either. Did his administration feel like they needed to pull such strong-arm tactics to win the election? In a word, no. It’s not as if the contest was close: he crushed his Democratic opponent, Barbara Buono, garnering 60 per cent of the vote. So yeah, even in the cynical, realpolitik analysis, it really doesn’t make much sense, either. Have we mentioned it was a petty move? It was also stupid. But did he actually order the lanes closed? Did he do anything wrong? A state panel is investigating those very questions right now. Christie has denied any wrongdoing. He said he was betrayed and misled and fired the aide — deputy chief of staff Bridget Kelly — who was responsible. Okay, why isn’t this going away? Well, he’s a politician. Politicians have enemies. The Democratic machine in Jersey, to say nothing of Washington D.C., isn’t likely to let this go. It’s a chance to smear the reputation of what could be the toughest Republican contender for the nation’s highest office in four years time. If it derails his governorship, it could derail his higher aspirations. Complicating matters, another individual enmeshed in the scandal has said the governor lied to investigators. The attorney for David Wildstein, the former Port Authority official who carried out the orders to close the traffic lanes, has said Christie knew of the lane closures as they happened. The governor has denied that assertion. What’s the chance of this ruining his political career? Depends. If he is found to have had a hand in ordering the traffic lane closures, that means he flat-out lied to the public. That will likely cause a bigger problem than the inconvenient commutes. What’s the cliché? The cover-up is almost always worse than the crime. Does anyone actually care about this other than the Democrats who will hate him regardless? He was booed at Super Bowl festivities in Times Square this weekend. That has to count for something, right? More than a dozen people have been subpoenaed and the legislative panel set up to investigate the matter began reviewing documents regarding the incident this week. Briefing: New mayor set to rock New York? Briefing: What’s the deal with e-cigarettes? Briefing: Will Europe pay for its shameful past?